Back Home tells the story of Rusty, returning to England after being evacuated to America for five years in the Second World War. After five happy years in America, Rusty must return to England: the place she used to call home. But it doesn’t fell like home. Rusty’s mother is like a stranger, her little brother doesn’t know her and why does the food taste so bad? Rusty just can’t get used to the rigid rules and rationing and her strict new boarding school. Lonely and homesick, Rusty makes friends with Lance, another returned evacuee, and her indomitable spirit leads her into a dramatic and devastating rebellion. . . The audio book is available on Amazon and Audible and you can find out more by clicking on the image of the Audio Book. If you like this one then you can also buy A Little Love Song, also narrated by Michelle. “Several people had asked me if there was an audio version of Back Home. 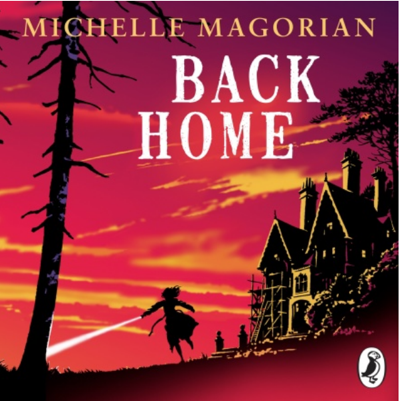 Noticing that Penguin Random books were issuing past BBC Radio 4 plays I asked someone at Puffin books if Penguin Random books might be interested in approaching the BBC with a view to selling the four-part dramatisation of Back Home written for radio 4 by Martin Jameson. Unfortunately, this wasn’t possible but, to my surprise, I was asked to do a recorded reading of it. Many of you may know that Michelle started life as an actress. 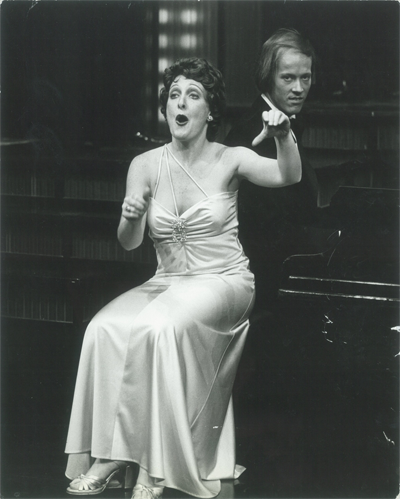 You can see a gallery of her characters and read all about her time in Repertory Theatre (Rep!) in her article entitled Play As Cast – Not Typecast.